History is taught both as courses on their own, and as part of the Teacher’s training programmes at Karlstad University. The students at these courses/programmes, due to an initiative taken by P-O Fjällsby and other academic teachers at Karlstad University already in the late 1980’s, regularly go to to India for field studies and exchange programmes with different universities and other cultural institutions. More information on Karlstad University’s South Asian studies. In 1996 Karlstad University established a Study Centre, Ganga Mahal, which offers opportunities for students from Karlstad, and from other Swedish universities, to spend shorter or longer periods of field works in Varanasi. P-O Fjällsby has been largely responsible for the management of Ganga Mahal, located close to the river Ganges at Assi Ghat, not far from the Banaras Hindu University. 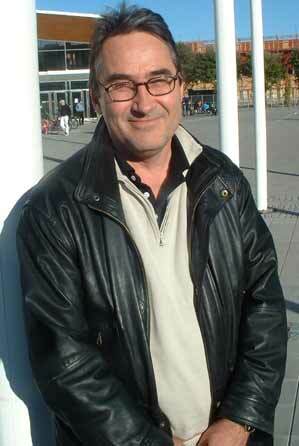 Lars Eklund, SASNET, visited the centre in March 2002. Read his report. On Friday 1 June 2012, Per-Olof Fjällsby defended his doctoral dissertation entitled ”Indien som utopi och verklighet. 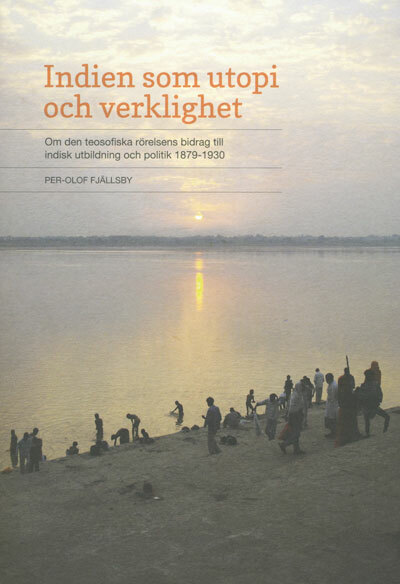 Om den teosofiska rörelsens bidrag till indisk utbildning och politik 1879-1930” (India as Utopia and Reality. On the Contributions by the Theosophical Society to Indian Education and Politics, 1879–1930) at Karlstad University. The faculty opponent was Dr. Henrik Chetan Aspengren, Department of History, Uppsala University. The thesis project deals with political ideas and activities related to the Theosophical Society and its involvement in the Nationalist movement in India during the period 1879–1930. Abstract: The first attempt from the Theosophist’s to interact with the nationalist movement in India was taken already in 1879. Contact was than established with the Hindu revival movement, Arya Samaj and its leader Dayananda Saraswati. In 1885 A O Hume, at that time a theosophist, was (one of) the founder to the Indian National Congress. In 1909 more than 10 000 were members in TS, mostly people from the middle class in the Anglo-Indian society. The most famous of political activists among the Theosophists are of course Mrs. Annie Besant, founder of Central Hindu College and the first women to become president of the Indian National Congress as a result of her leadership in her All India Home Rule Movement 1915-17. She was, at the same time, president of the International Theosophical Society. Mrs. Besant’s quality for political leadership lay also in her earlier political involvement in the Freethought Movement in Britain before she became a theosophist 1889 and came to India in 1893. In the study P-O Fjällsby tries to explore the various ways in which the past was used by the Theosophist in order to construct a national identity in India. Three subjects are in focus; their national political ambitions, efforts in the field of a national education and in the women’s movement. Later, P-O Fjällsby has also been engaged in a project about Change and Continuity in the Mohallas in Benares. The purpose is to see how earlier integrated townships are affected over time by modernisation/globalisation. For many years, Karlstad University and Banaras Hindu University has jointly offered 10–14 duly admitted students to the C/D-level courses (20 credits) in History of Religions, History and Cultural Geography at Karlstad University (if meeting basic requirements for studies in India), the opportunity to spend 10–15 weeks in Banaras (Varanasi). In India they study languages (Hindi/Sanskrit), conduct individualized litterature and field studies (related to their C/D thesis topics) under qualified supervision, and participate in a joint BHU-Karlstad University seminar on the ”Multi-Cultural Aspects of Banaras”. More information on the India Programme. In February 2012, the International Programme Office for Education and Training (Internationella Programkontoret) decided to award the Dept. of History and Political Science, Karlstad University, SEK 80 000 as an initial Linnaeus Palme exchange programme grant to develop collaboration with the Malaviya Peace and Research Institute (MCRP), connected to BHU in Varanasi. The contact person at MCRP is Professor Priyankar Upadhyaya, MCRP Director, and since 2011 holding its UNESCO Chair Professorship for Peace and Intercultural Understanding. The programme focuses on students on Masters level, and the ambition is that an exchange of students may start from 2013. The project received renewed funding for 2014-15 with SEK 203 658. More information about the South Asia related Linnaeus Palme projects for 2014-15. The Malaviya Centre for Peace Research was established in 1997 as an interdisciplinary centre of the Faculty of Social Sciences at the Banaras Hindu University. It consists of Faculty and Researchers from diverse disciplines of the Social Sciences, particularly Political Science and International Relations, working to analyse and contribute to the peaceful resolution of intra- and inter-state conflict. The MCPR involves in its programs faculty, students, representatives from the media and social activists and has emerged as a symbol of excellence in the field of Peace Studies and Conflict Resolution. The project has received continued funding for 2015-16 with SEK 403 342. More information about South Asia related Linnaeus Palme programme grants for 2015-16.